How to style a list in microsoft word? How do I move bullet points to left in microsoft word? 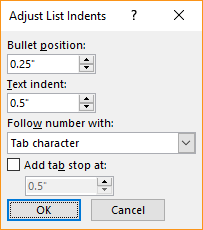 Search for: How do I move bullet points to left in microsoft word?